Hello everyone this is candle. 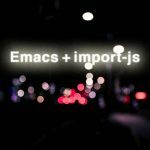 In this time I would like to introduce rjsx-mode of major-mode for react development of emacs. 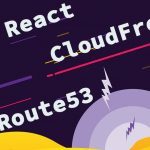 The development of “react” has been tried and errored between emacs users, such as using web-mode or js2-jsx-mode of js2-mode. Also I had been used js2-jsx-mode before rjsx-mode. Since rjsx-mode is an extension of js2-mode, users of js2-mode can use it without discomfort. rjsx-mode has auto complete function of jsx. it’s fantastic. 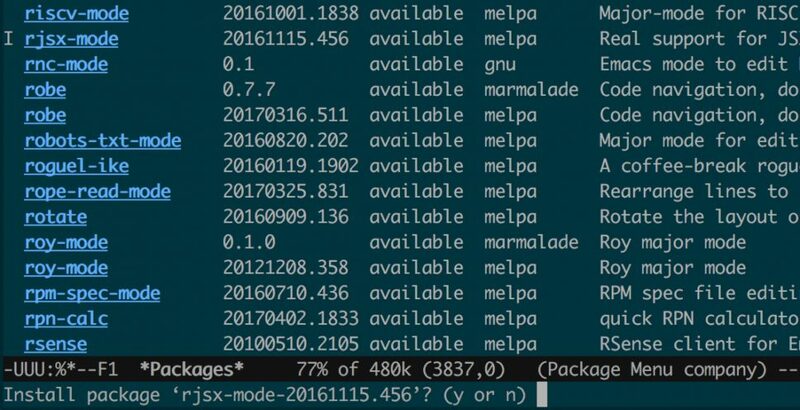 You can install rjsx-mode from melpa or el-get. 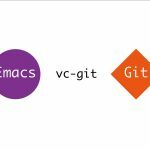 I am using el-get, but I will explain both easily. 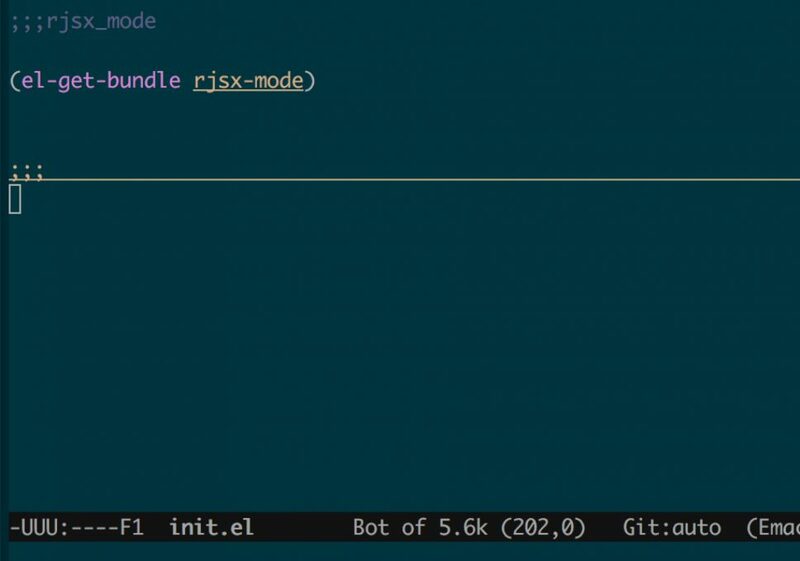 Move the cursor to rjsx-mode, type “i”, then type “x” to install. You are asked whether you want to install it, you can install it by typing “y”. Installation with melpa is over. 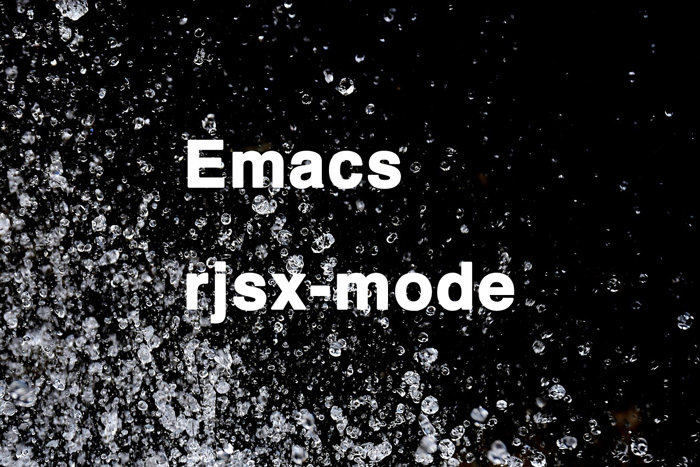 It is easy to install rjsx-mode with el-get. Reload init.el with “M-x eval-buffer and install rjsx-mode from el-get. You can see that js2-mode is installed if you are looking at the progress. rjsx-mode automatically starts up in major mode for .jsx extension. On the other hand, since it is not bind with .js extension, it will not launch in majar mode. 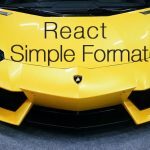 All files in which React JSX is written are not only .jsx extensions. If you want to lauch the rjsx-mode for all of .js files, you set up like this. 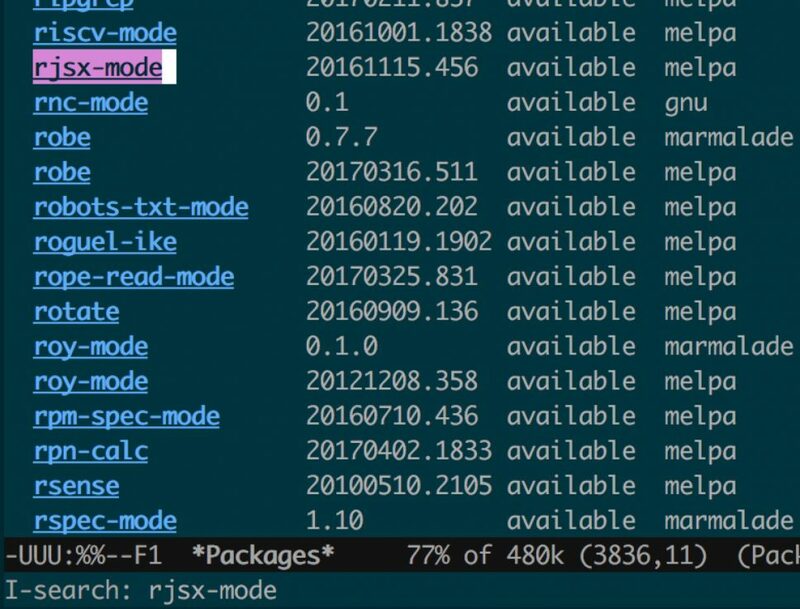 As in the official website, if you run rjsx-mode only for the js file under the components or containers folder, do as this. 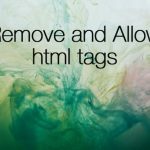 Make the App.jsx file and check it good working. Well, looking at the above image, warning is displayed because there is no semicolon at the end of the line. I don’t sure it is from ES6, but the semicolon at the end of the line is no longer mandatory. 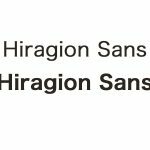 Disable this warning to edit configuration file and change to indent width to the 2 spaces. open ~/.emacs.d/init.el file and write this. The basic setting is over. The rjsx mode does the autocomplete for jsx tags. In jsx, typing “<” will automatically expand “/>”. and enter “button”, delete “/” with “C-d”, the close button tag </button> is created. 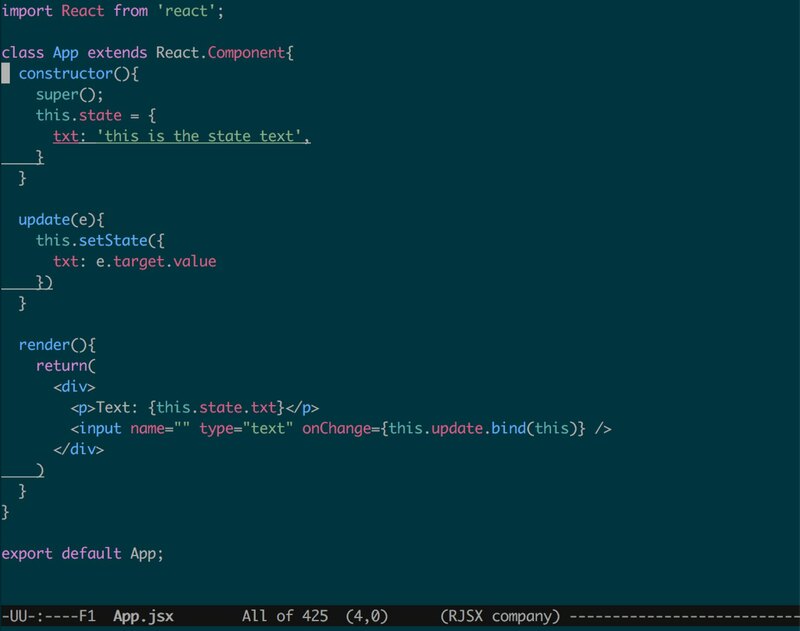 I think that React’s major mode will jostle with js2-jsx-mode, web-mode, rjsx-mode etc for a while. Among them, I thought rjsx-mode was useful. Hi Joppot. thank you very much for your post. It was very helpful. However, I should bring to your attention that the method to run rjsx-mode only on components/ or containers/ folder does not work. The first method did work – running rjsx mode on all my .js files. 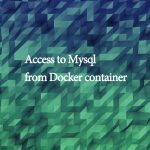 Do you think you could help me run rjsx-mode only on components/ and containers/ folders? I would very much appreciate it. Thank you. Hi, I’m sorry for the delay in sending feed back you. I checked it and yes surely it’s not working. So I improved to fix that problem. This configuration will be good working. Please try it. English 日本語 Abstract Hello everybody, It’s candle. 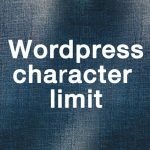 Nowadays, when I used free themes for wordpress at the company, I noticed that. 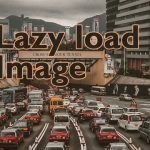 Many free theme use the_content function which expands all the contents of individual articles in the article list, and it is very irritating. However, editing a free theme is troublesome. We use the “Advanced Excerpt” plugin to limit the number of characters displayed in the article list and make it easy to see. We use the free theme “twentyeleven” as a sample. Before After Premise There is a wordpress. 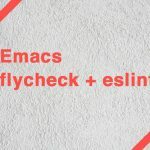 Build flycheck + eslint environment supporting to react + es6 in Emacs.